The Leadville is a historical silver mining city in Colorado. It is currently the county seat of Lake County in Colorado. Geographically the city lies at an elevation of about 10, 152 feet making it the second highest incorporated city in the United States. The city is situated on the Arkansas River in the Rocky Mountains in Colorado. At the height of its mining times, the city had the second largest population in Colorado behind Denver. Leadville traces its origin back to the Pikes Peak Gold Rush of 1859. The first settlers in the region came in 1859 following the discovery of placer gold in California Gulch. A number of towns boomed out of the earlier gold claims but they never became permanent settlements because the surface placer gold in those places was quickly mined out. In those early days, most of the miners found out that gold mining in claims within the Leadville mining district using sluice boxes was hampered by the heavy black sand. It was not until 1874 that it was discovered that in fact, the black heavy sand was the lead cerussite. Further investigation led to the discovery of a number of silver-lead deposits in the modern day Leadville. The town of Leadville was established in 1877 by August Meyer and Horace Tabor who are credited with the start of the first silver boom in Colorado. The town was initially known as Slabtown and the first miner build cabins and tents near California Gulch. With the establishment of a post office and a telegraph office in 1878 the town’s name was changed to Leadville. It then grew tremendously and by 1880 it had water mains, gas lighting, six banks, schools, churches, business stores and well-paved streets. Leadville prospered from the start and by mid-1880 it had grown to become the world’s largest silver producer. The town had about 15,000 people and produced silver, gold, and lead worth about $15,000,000 annually. The town began to decline in the mid-1890s following the decision by the government in 1893 to repeal the Sherman Silver Purchase Act which greatly affected the prices of silver in the market. However, there were a number of gold mining booms in the area but none could match the silver boom. Mining of silver, lead, and gold continued in several places until the 1950s when most of the early mines closed shop. The Sherman Mine in the Iowa Gulch on the Mount Sherman about 6 miles east of the Leadville was one of the most important silver mine in Colorado. The mine produced about 10 million ounces of silver between 1868 and 1882. Although the mine was known mostly for its silver, it also produced a considerable amount of lead and zinc. Although the mine is known to have long closed down its original buildings and structure still stands and is often visited by hikers who wants to take pictures of the historic structure on a hillside. The Matchless Mine was another important mine in Leadville. Located on Fryer Hill, the Matchless Mine was acquired in 1879 by the town’s mining tycoon, first Mayor, and later Senator of Colorado Horace Tabor and his second wife Elizabeth Baby Doe Tabor. The family owned the mine until 1927 when it was auctioned to pay off a debt. During its active years, it is estimated that the mine produced well over $7.5 million worth of silver. Today the mine is listed as a historic place and visitors come to the mine to visit the original Tabor Family cabins and learn about the early days of silver mining in Leadville. 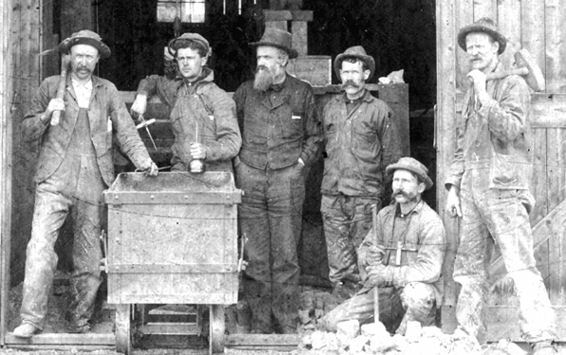 One of the earliest gold mines in the Leadville area was the Adelaide Mine. The mine was established in the early 1870s and by 1876 had formed a town. The mine was set on the side of a creek and produced rich gold but the deposit was quickly exhausted. By 1880 the small town around the mine had begun to shrink and most of the miners left the mine to look for richer ground elsewhere. Today the place is still rich in gold and with careful digging one can still find some gold if you find an accessible area. The Black Cloud mine located 10 miles to the east of Leadville was the last remaining active mine in the Leadville mining district until 1999 when it closed down. The mine produced gold, silver, lead and zinc. The mine was established at the base of Mount Sherman in 1968 by the American Smelting and Refining Co. to produce gold and silver. Even today there is some exploration going on at the site with the hope for future reopening. 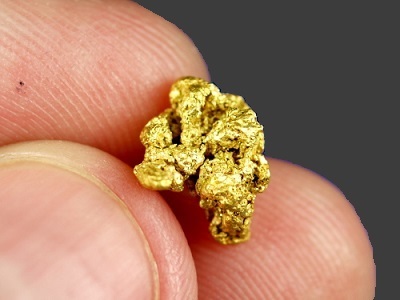 Small gold nugget found in central Colorado. California Gulch is very important to the history of the Leadville. The Gulch was also home to some of the richest placer gold deposit in Colorado. Located in the valley between Leadville and Mount Sherman, California Gulch was the site for the first gold discovery in Leadville and subsequently the discovery a major lead deposit in the area too. Several mining towns sprang up in Californian Gulch as early as 1860. The first came to be known as the Oro City. Another equally important gold discovery was at McNulty Gulch along Tenmile Creek. It was these placer gold discoveries that brought miners to the area, eventually leading to the silver and lead discoveries. Gold production in California Gulch was so rich that by 1872 the gulch had produced over $2,500,000 worth of gold which at present-day prices would be an equivalent to over $40 million dollars. In 1877 large amounts of lead was being produced in the Gulch alongside gold and this led to the construction of the first lead smelting factory in Leadville. Mining continue well into the 1950s. Next: Public Gold Mine Tours in Colorado – Underground Adventures!